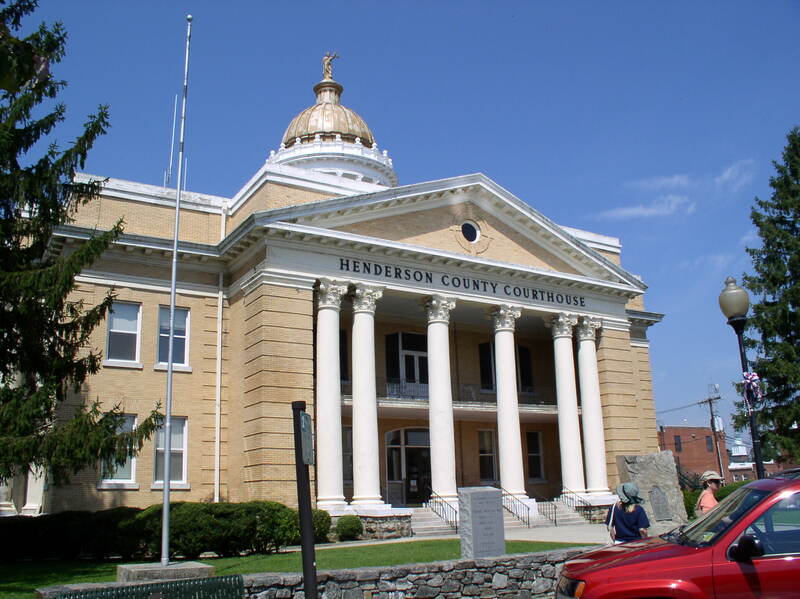 Hendersonville, NC. County Courthouse. The neoclassical style was immensely popular for early 20th century public buildings, designed with Greek porticos, columns, and pediments. HISTORICAL BACKGROUND AND FEATURES: Neoclassical Revival became a dominant style for domestic buildings nationwide between 1900-1940s. It was directly inspired by the Beaux-Arts style and the Columbian Exposition (Chicago World’s Fair, 1893). The style tends to include the features of classical symmetry, full-height porch with columns and temple front, and various classical ornament such as dentil cornices. 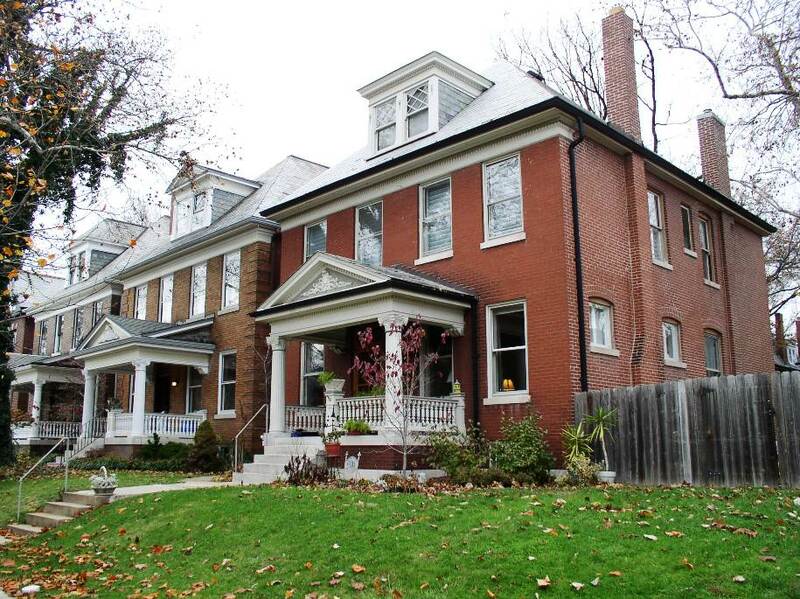 Basically, this is the revival of the Greek Revival style that dominated the first half of the 19th century. Because the style was more scaled down and flexible than its grander cousin, the Beaux-Arts, Neoclassical spread prolifically throughout the U.S. and became popular for a wide range of everyday buildings. Everything from townhouses, suburban homes, county courthouses, main street commercial buildings, and bank branches readily employed variations of the style. Often the single identifying feature on simpler structures (such as townhouses) might be the prominent columned porch with Greek portico above the entryway. Also unlike Beaux-Arts style, Neoclassical buildings tend to stick with pure Greek elements, especially the trabeated (post and lintel) form of Greek temples, with their columns, entablatures, and triangular pediments. In contrast, Beaux-Arts tends to incorporate both Greek and Roman forms, particularly that of the rounded, Roman arch. For More Photos of Neoclassical Revival on Flickr, Click Here. Redlands, CA. 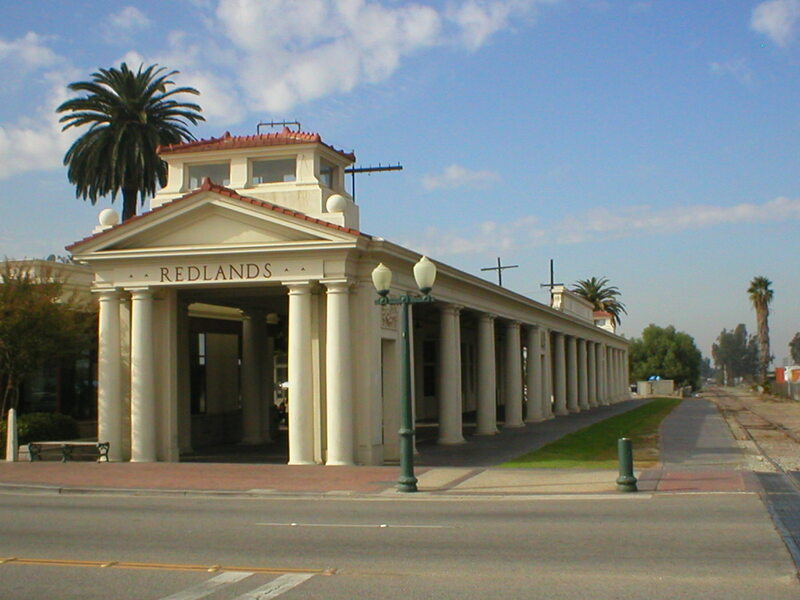 Train depot with prominent classical portico and Doric columns. Railroad companies usually adopted cultural fashions popular at the time, including architecture. Ashville, NC. 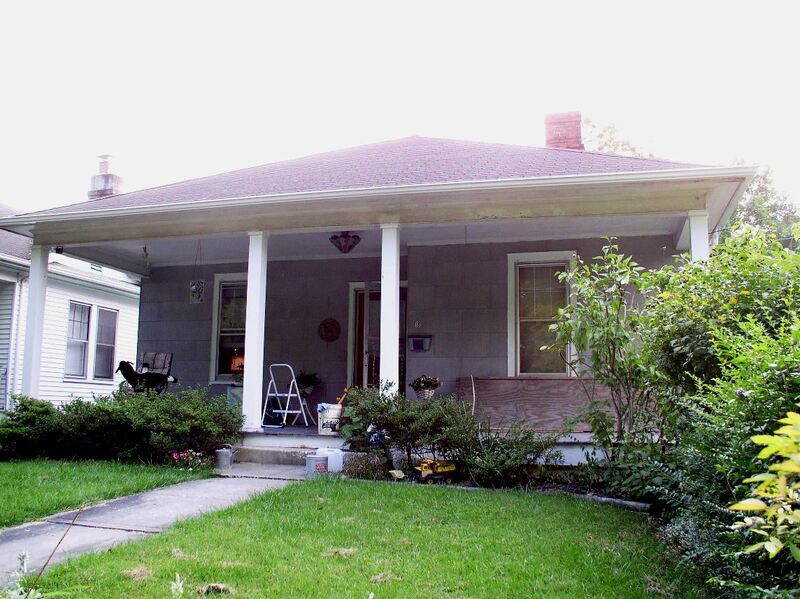 Sometimes referred to as a "southern pyramidal" or "railroad cottage," many smaller homes in the South and elsewhere used square columns to reflect the neoclassical style. 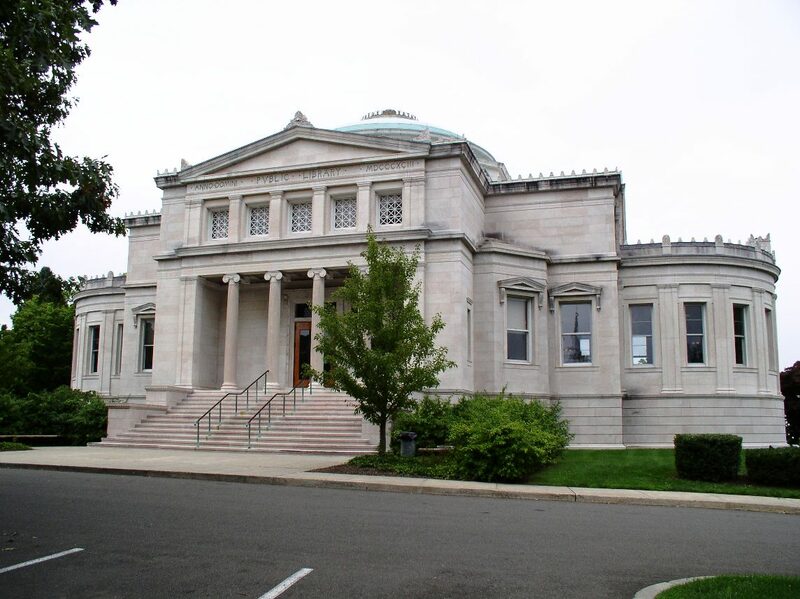 Branford, CT. Blackstone Public Library, c.1893-96. Designed with a prominent temple front and central dome (rotonda), a neoclassical form inspired by Jefferson's home at Monticello, in turn influenced heavily by Andrea Palladio's Villa Capra (La Rotonda) near Vicenza, Italy. San Antonio, TX. 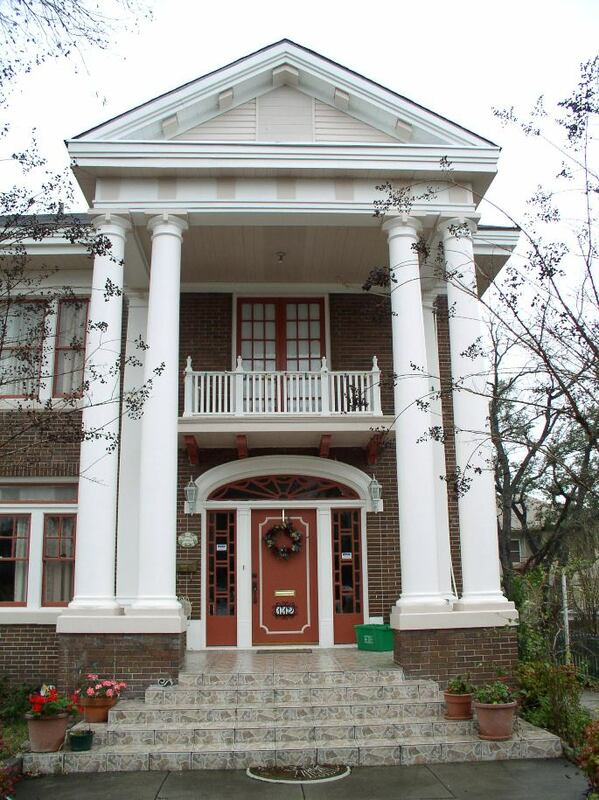 Some neoclassical porticos can dominate a facade, as with this two-story version and its double columns. Lewistown, PA. c.1927. 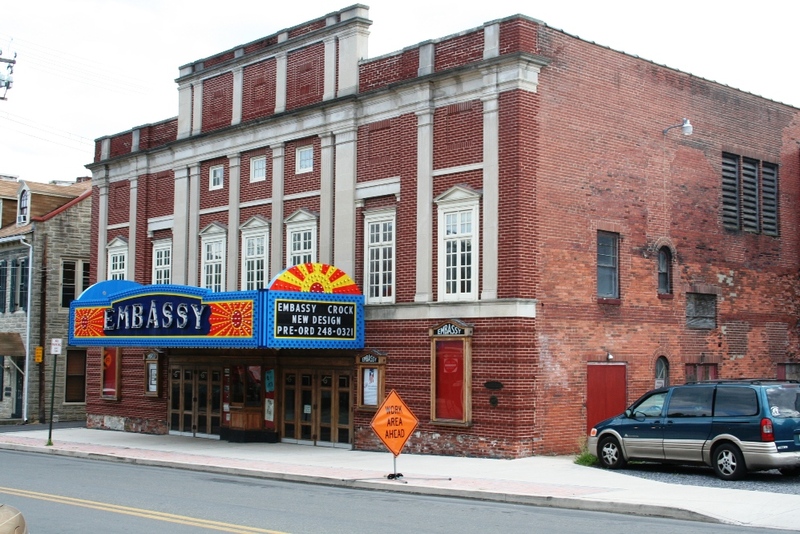 Embassy Theatre. 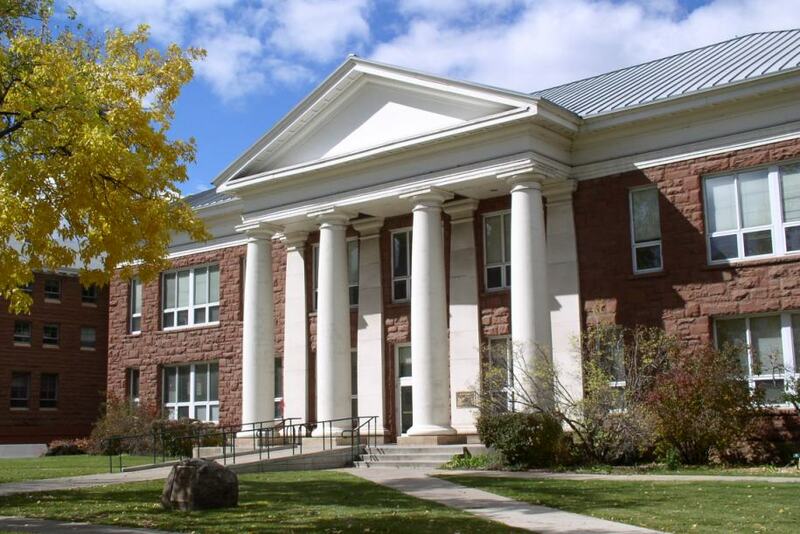 Small-town version of the style often featured symmetrical facades, squared-off roof lines, and classical details such as pilasters. Flagstaff, AZ. Blome Building, campus of Northern Arizona University. Due to its symbolism related to Jeffersonian democracy and education, neoclassical buildings were popular on college campuses through the 1940s. St. Louis, MO. Townhouses, each with a classical porch and pediment. This is the most prominent stylistic feature on these buildings, not uncommon for the style.